From Mayor Scott Galvin: We are honored to join Korean Consul General Song-jun Ohm and Woburn Veterans Service Officer Larry Guiseppe Thursday evening, Sept. 7, for a special ceremony to honor 45 Korean War Veterans–including posthumous awards for seven local veterans killed in action–with a Peace Medal. All of the veterans being recognized are “boots on the ground” combat veterans that meet the Korean Consulate’s Peace Medal requirements. 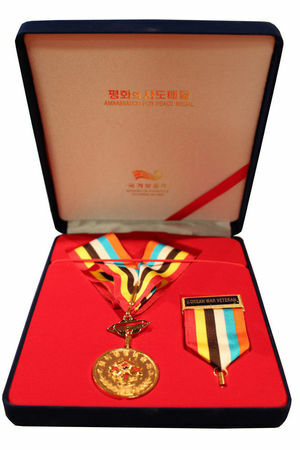 The commemorative medal is an expression of appreciation from the Korean government to American service men and women who served in the Korean War. The ceremony will be held in the auditorium at Woburn Memorial High School at 7 p.m.